Let’s make one thing clear: $36M will buy a lot, even in New York or London. 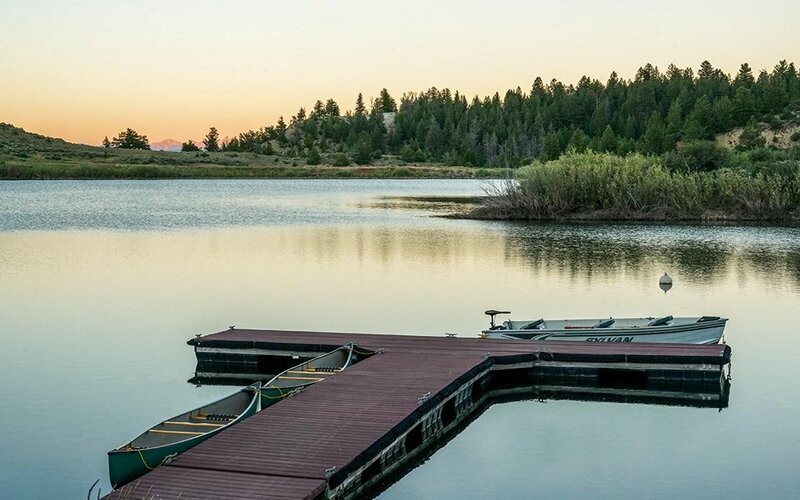 But rarely does it buy something like the 6,343-acre Westworld-esque megaranch currently on sale in Kremmling, Colorado. Not so here. Wedged between the upper Colorado River and lower Blue River basins, the Elk Island Ranch is an ode to freedom, where the creeks are full of blue-ribbon tailwater trout and the mountains fill every lodge window. 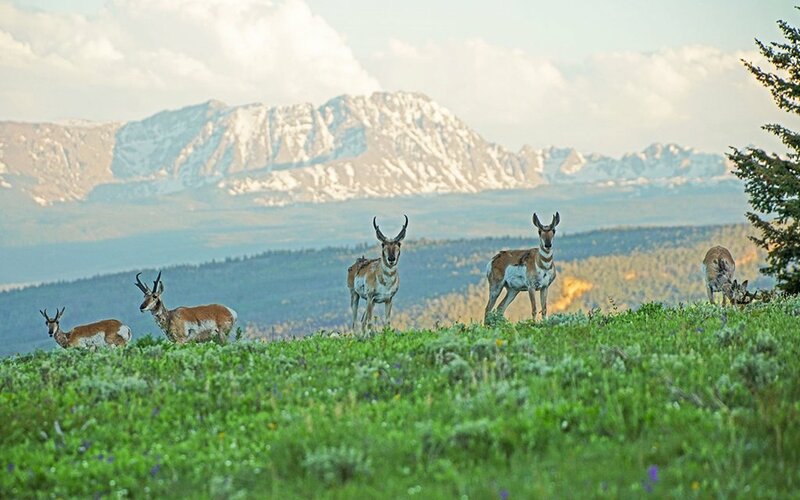 It’s a wilderness teaming with life — elk, mule deer, pronghorn — and a playground eager to host everything from horseback riding to Nordic skiing to paintball. There’s even a private ski slope and a 2,400-foot sledding hill. As for accomodations? Expect a 16,000-square-foot lodge with five bedrooms, 12 baths and an affinity for spiral staircases and towering fireplaces. But the real treat is next door: the Nevada House Saloon. Yup. There’s a saloon on the property, and it’s a frontier beaut, with a wood-lacquered bar, full kitchen, gaming tables and a dancefloor. Fire up the fiddles. 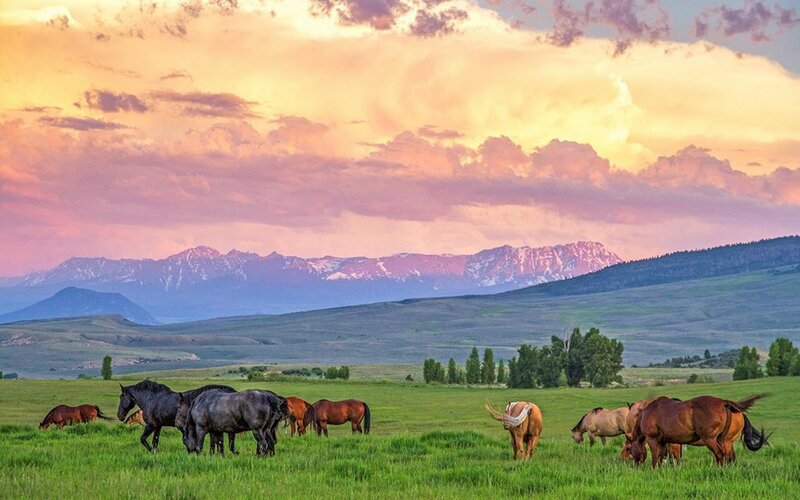 For anyone worried that all that freedom could get a bit lonely, Elk Ranch includes access to nearby Grand River Ranch, is under an hour from five high-octane Colorado ski resorts and 10 minutes from Kremmling, which has its own airport. Find more info on the “turnkey” home (it’s all included, folks) here.